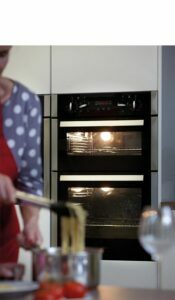 The usable capacity of your single or double oven is important because it will determine the size of roasts you can cook and even the amount of guests you can cater for in one go. Whereas a standard single oven cavity is more than large enough to prepare simple meals for the family, our new 74L extra-large oven cavities can help you cook larger more complex dishes with ease; the new extra-large cavities feature on the SK110, SK210, SK310 & SK410 models. 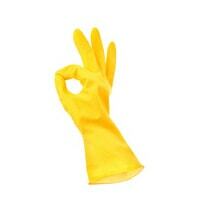 If you are looking for a self-cleaning pyrolytic model, then your oven cavity size options will become more limited. 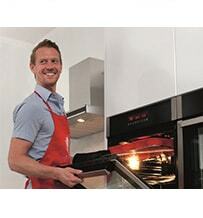 Pyrolytic ovens are only available with standard cavity sizes. However, what you lose in extra space you will more than make up for in function when scrubbing burnt-on cooking residue and using harsh oven cleaning chemicals become a distant memory. Whether you are looking for extra space or extra time in your life, the CDA oven range has the perfect model to fit the bill. Does double oven mean double capacity? Does a “double oven” mean double the cooking space? Not necessarily. 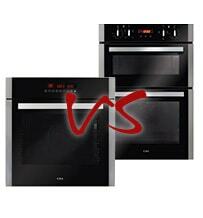 The built-under or ‘under counter’ double ovens offer a useful extra 35L (approx.) of cooking space above the main oven. 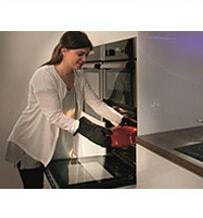 This allows you to prepare a dessert, grill a starter or even keep a side dish warm. The built-in or ‘eye level’ double ovens have a little more space in their top oven, simply due to the way that they are installed. A double oven doesn’t literally mean double the capacity. The built-in and built-under models feature an additional, slightly smaller top oven that allows you to have separate grilling, conventional cooking or keeping warm room in your cooker. 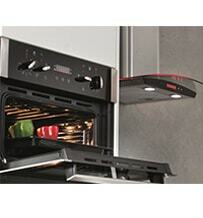 If you want true ‘double oven’ cooking space, take a look at the DK1151 which is a double tower oven. This consists of two full size single oven cavities, one on top of the other, designed to be installed at eye-level height. For an alternative and increasingly popular look, try installing two single ovens side by side, underneath a larger hob and wider extractor. You will get double the cooking space with all the multifunction cooking options that you need. What is a good oven capacity? 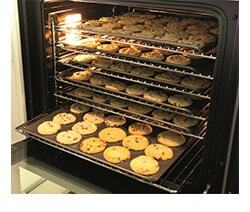 An average single oven capacity is around 60 Litres. While this is adequate for most cooking styles the extra-large cavities on our SK range will give you more room for large dishes and additional sides. Our extra-large cavities are 76 Litres which is around 30% larger than standard models on the market. How do you measure oven capacity? Oven cavities are measures according to EU standards and the internal dimensions are calculated using a specifically designed disk. 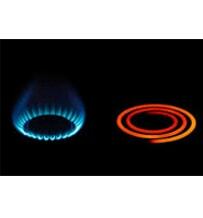 Whilst bigger is usually seen as better, it is important to consider your requirements and cooking style. If you are more of a hob top cook, heating up an extra-large cavity unnecessarily is pointless if you are only cooking smaller items. We provide a complete range of sizes and combinations to allow you to pick the most suitable model for your lifestyle. 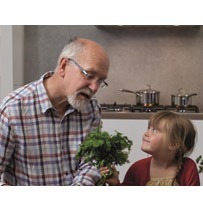 If you are a fan of heavy cast iron pans and cook enormous family meals, you will be pleased to know that our oven shelves are weight tested to support a load of up to 15kg.